Throughout its 150-year history, the Howard University College of Medicine (HUCM) has produced more than 10,000 physicians – most of them from underserved populations with a mission to serve their communities. Howard University is continuing that legacy as data from the Association of American Medical Colleges (AAMC) revealed that the university was the number one producer of Black applicants to medical schools in the United States this year. Leaders at the Washington, D.C.- based historically Black college and university (HBCU) acknowledge that this designation as a record producer of aspiring minority physicians stems from the offering of intentional pipeline programs for minority groups, ongoing faculty development opportunities and an unrelenting emphasis on the College of Medicine’s core values of ethics, compassion and commitment to being empathetic and culturally sensitive care-givers. Reflecting back on HUCM’s history, Mighty lists the groups that had access to Howard’s transformative experience in a time where they would not ordinarily be afforded medical training or an education: women in the early 1900s, individuals of the Jewish faith in the mid-early 1900s and, traditionally, African-Americans since the college’s opening in 1868. “I think that just speaks to the magnitude and impact that Howard has had across that 150 years,” he says. A typical class size today for the College of Medicine is roughly 120 students a year. ­That is nearly equivalent to the amount of Howard undergraduates that applied to U.S. medical schools around the country for the 2017-2018 academic year – 118 students. At the undergraduate level, a number of pipeline programs are driving students’ interests in and preparation for careers in medicine and the sciences. ­There are science, technology, engineering and mathematics (STEM) programs, a summer prep program for students wanting to go to medical school and a unique dual degree B.S./M.D. program, among others. ­The summer prep program prepares students for the entrance exam for medical school, and the dual program allows a student to do two years of college and then four years at Howard’s medical school. And with the Bison STEM Program, officials encourage minorities to look at the sciences on a broader scale. “We don’t really restrict it to medicine per se, but as folks develop, they began to choose. So in that track, we are developing a M.D./ Ph.D. program, for example,” Mighty adds. What sets Howard’s programs apart from other institutions is the effort put in place to keep students focused and on track to achieving their goals. Because of the caliber of students’ preparation in the pipeline programs, leaders say other medical schools often compete with HUCM for Howard undergraduates. “It’s a good problem to have and one that we’re very proud of,” Mighty says. Mighty says HUCM is consistently working to increase Black male applicants, noting that the current class size is roughly split 60-40 for women and men, respectively. Dr. Norma I. Poll-Hunter, senior director of human capital initiatives for the Association of American Medical Colleges, was the project lead on the 2015 AAMC report on Black males in medicine that found that their application rate to U.S. medical schools has remained stagnant since 1978. In 1978, the number of Black male applicants to medical schools was 1,410. In 2014, the number that applied was 1,337, the report found. Poll-Hunter adds issues of affordability, systemic racism and bias, a lack of information to understand the pathways to medical school and a dearth of role models as challenges that affect minority males’ interest and entrance into medical programs and careers. Alternatively, men of color who are interested in science and health now have a “broader array of career options” than in 1978, she says. 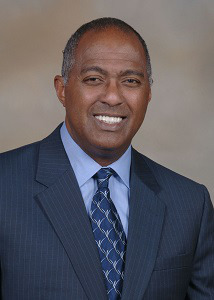 Still, HBCUs like Howard are “significant contributors” to the physician workforce and, now, have an opportunity to share the “formula” for how other institutions can replicate their “effective” practices on attracting and graduating diverse cohorts of aspiring physicians and physicians, Poll-Hunter says. Currently, AAMC requires all member medical schools to have programs in place that focus on increasing diversity among students, faculty and staff. “We know that all of our institutions are committed to this work and are doing it,” Poll-Hunter adds. Developing faculty has also been paramount for HUCM leaders in regards to students’ success. Faculty development trainings revolve around communication skills, teaching styles and, significantly, cultural sensitivity. “We try to match the style of teaching and the delivery with what the expectations of our current students are,” Mighty says. “There’s a lot more technology involved, and books are important, but again, less and less we go with books and more with hands-on experiences and using technology so that [students] can study and learn when they’re ready to study and learn.” In addition, faculty members attend “unintentional bias trainings,” ensuring that they are competent in serving different groups of varying backgrounds. “The faculty continually has to change and learn right along with students,” Mighty says. He adds that students gain a sense of ethics and professionalism – how to speak, how to have disagreements without being disagreeable and keeping patients’ safety and satisfaction first – by watching their professors and physicians in action. 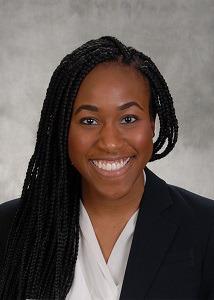 Onyekachi Ezeibe, a third year student at Howard’s College of Medicine, has plans to pursue a career in obstetrics and gynecology. She says she was inspired as a child to become a physician after watching her mother work as a nurse. Ezeibe and her siblings all enrolled at Howard as undergraduates and then continued on as medical students. She is actively involved in Howard’s chapter of the Student National Medical Association. “That really transcends through the first two years with the faculty as well as the third and fourth years with the physicians across the bridge at the hospital,” she says. Howard and HUCM leaders particularly say they have learned two key things along the journey for growing students’ interests and preparation in the field of medicine and the sciences: pay attention to make sure that the college is achieving set goals and maintain adaptability to build pipeline programs that accommodate students’ interests, needs and backgrounds. This article appeared in the November 29, 2018 edition of Diverse.